Patiala State was a self-governing princely state outside British India during the British Raj period in the Indian sub-continent. 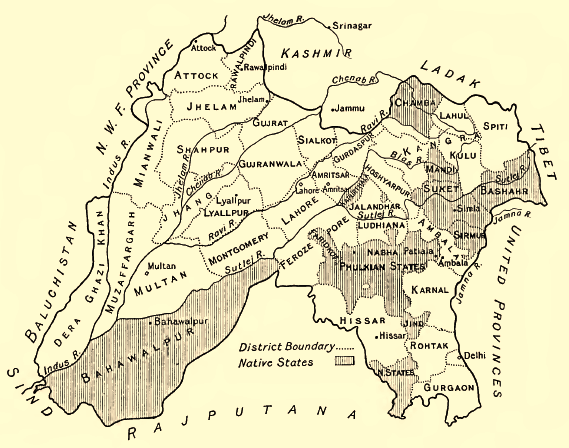 Patiala was one of the Phulkian States. When the British left India in 1947, they abandoned their subsidiary alliances with the princely states, and the Maharajah of Patiala acceded to the new Union of India. Patiala state was established in 1763 by Baba Ala Singh, a Jat Sikh chieftain, who laid the foundation of the Patiala fort known as Qila Mubarak, around 'which the present city of Patiala is built. After the Third Battle of Panipat in 1761 in which the Marathas were defeated by the Afghans, the writ of the Afghans prevailed throughout Punjab. It is at this stage that the rulers of Patiala began to acquire ensigns of royalty. 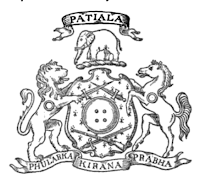 The Patiala state saw more than forty years of ceaseless power struggle with the Afghan Durrani Empire, Maratha Empire and the Sikh Empire of Lahore. In 1808, the Raja of Patiala entered into a treaty with the British against Ranjit Singh of Lahore in 1808, thus becoming collaborator in the grand empire building process by the British in, the sub-continent of India. Patiala became a 17-guns salute state during the British Raj. The rulers of Patiala such as Karam Singh, Narinder Singh, Mahendra Singh, Rajinder Singh, Bhupinder Singh and Yadvindra Singh were treated with respect and dignity by the British. 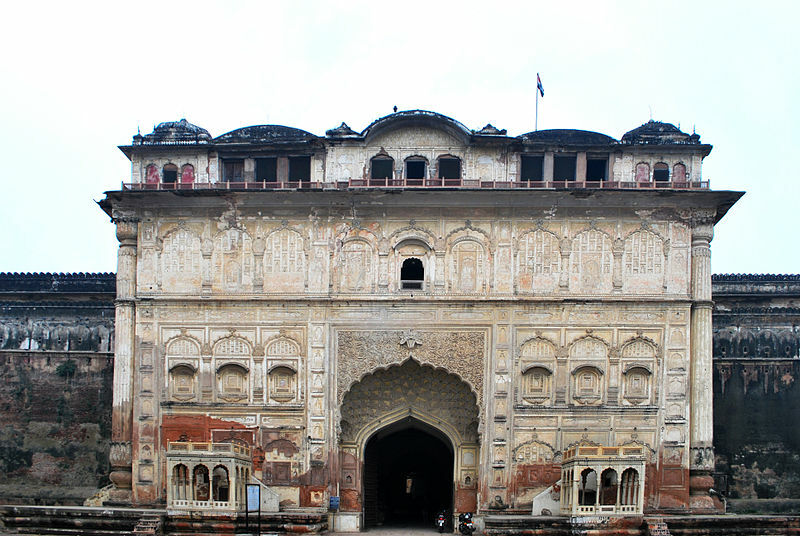 A gate of the Qila Mubarak in Patiala, built in the 18th century. The city of Patiala was designed and developed according to a plan akin to that of temple architecture, the first settlers of Patiala were the Hindus of Sirhind, who opened their business establishments outside the Darshani Gate. The royal house is now headed by Captain Amarinder Singh who is also the current Chief Minister of Punjab. The royals are considered cultural and political icons in east Punjab. 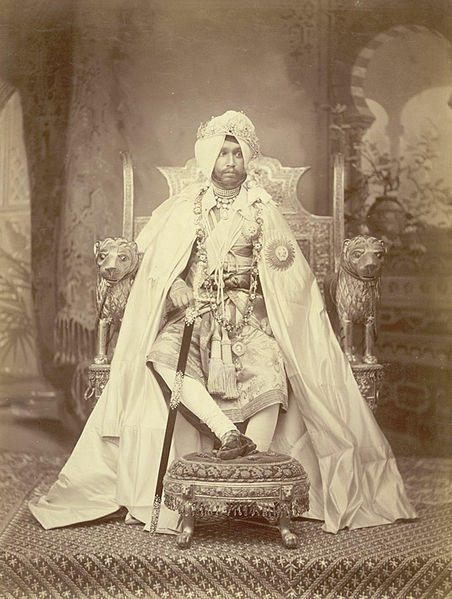 Maharaja Karam Singh who ruled from 1813 to 1845 (the Sikh Kingdom of Patiala in Punjab) joined the British East India Company and helped the British during the First Anglo Sikh wars against the Sikh Empire of Maharajah Ranjit Singh of Punjab which was larger and extended from Tibet Kashmir, plains of Punjab to Peshawar near the Afghan borders. 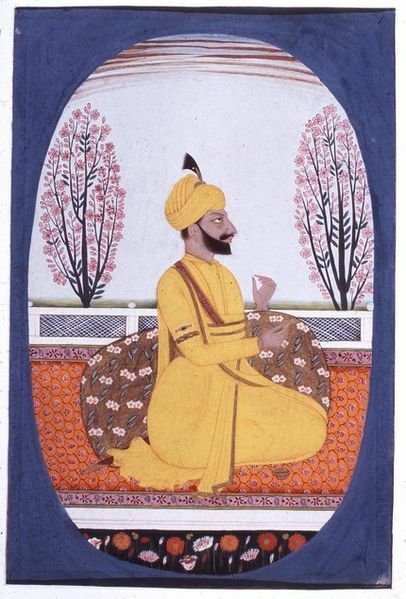 Maharaja Sahib Singh (1773-1813), A very weak ruler, who had imprisoned his won Sister Bibi Sahib kaur, but later escaped. 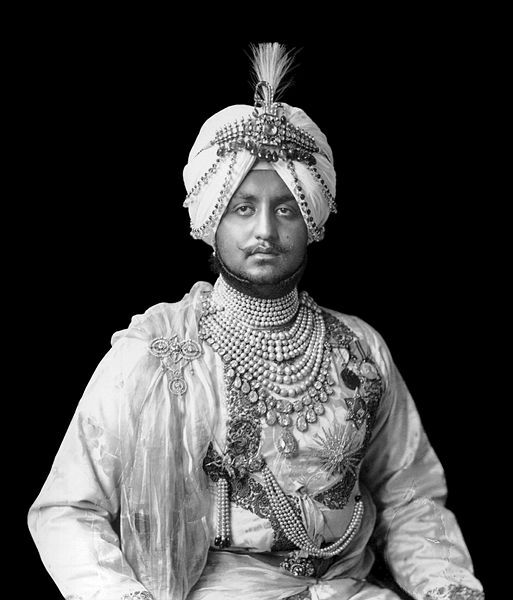 Maharaja Mahendra Singh of Patiala. Maharajah Yadavindra Singh, signed his union with India in 1948, transferring his Kingdom, to the Government of India, Patiala State was united with the Punjab State of India, in 1948. 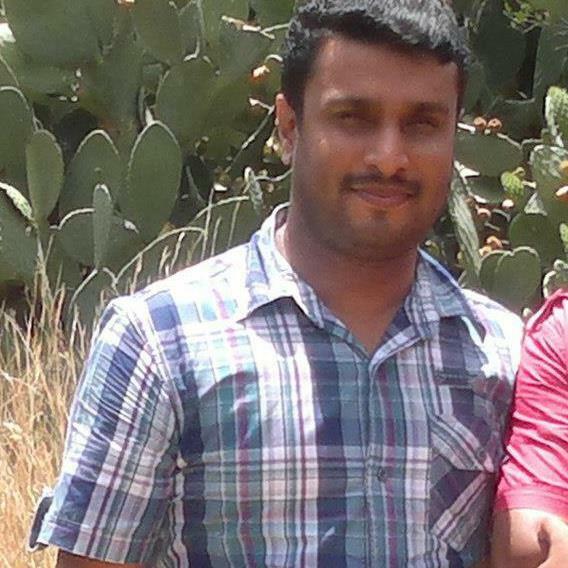 The Maharajah also told other Royal Princely States to Unite with India.